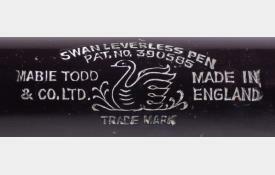 This Mabie Todd Swan 4250 is something of an oddity, a real "Frankenpen". The original turn-button has been removed and the end of the barrel neatly refinished with a gold washer and stud. The original clip has been replaced with another which fits well. 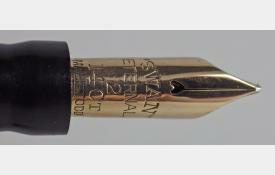 Internally, the Leverless filling system has been replaced with a squeeze filler, probably from a Parker pen. 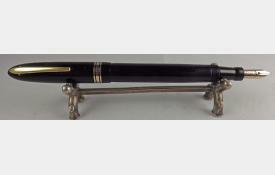 The workmanship is excellent throughout. 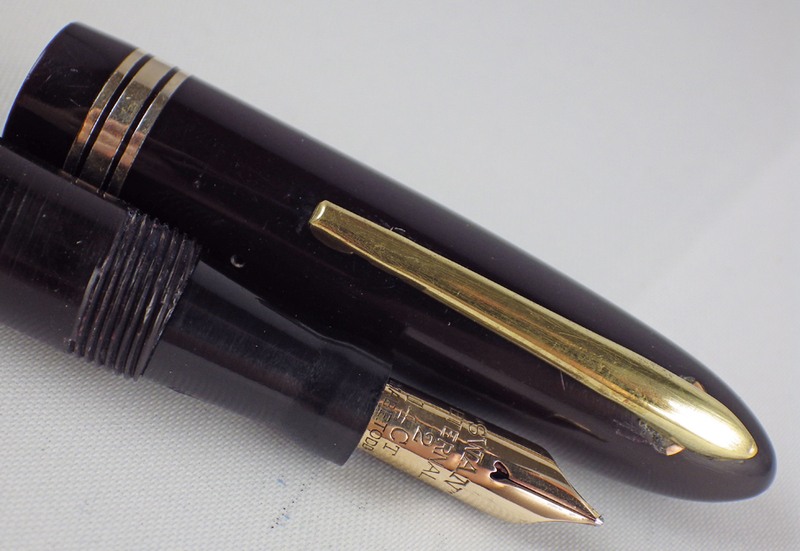 The gold plating is very good and the pen closes firmly with a single turn. There are no cracks, scratches or bite marks and the barrel imprint is crisp and clear. 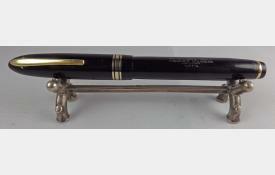 The pen fills and writes well (see writing sample). 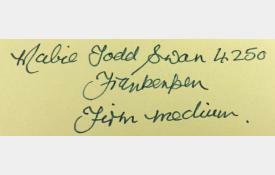 The Mabie Todd Swan Eternal No2 nib is a firm medium. 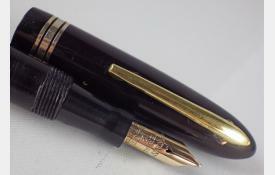 A completely unique pen and a good writer.